It’s always fascinating to see what comes about when two or more people are taking in the visual intricacy of an illusionary picture. One image and multiple perceptions can give way to some quite surprising reactions. However, in the case of “Principle & Heart,” the new single by Long Island, NY alternative pop rock band, BOXER, an individual theme is indeed meant to bring together more than one interpretation of single theme. Following the much celebrated release of BOXER’s first single, “Stay Up,” back in June of last year, the Far Rockaway based quartet have been balancing a steady stream of live performances with a focused dedication to recording a new song – applying just as much care, with hopes of leading to just as much fanfare, as the song before. According to lead vocalist and guitarist Lenny Sadowsky, despite BOXER’s diligent concentration as a group leading to “Principles & Heart” getting laid down in the studio after only a few takes, time spent mixing the track extended the new song’s release date because, “[the band] just wanted to convey the emotion to the best of [their] capability.” Knowing that BOXER went into the making of “Principles & Heart” with deliberate and thoughtful creative intentions, but also being told the band refers to “Principles & Heart” as “the Ying to the Yang of [its] previously released single,” the latter first-hand perspective might foster some initial uncertainty over the potentially low ceiling of the song’s individual musical character. While it’s relatively unsurprising, and sometimes to a degree even expected, that an album or EP hold a torch of thematic consistency somewhere in the project’s creative lining, sinews shared between two isolated single releases is an intriguing path chosen for a still emerging band. see me how you want me doesn’t make me. you can only cater to yourself. I’ll do what I have to make me happy. I can share there is plenty of me. Nevertheless, though the philosophy of staying true to oneself and having confidence in that stance makes a reprised appearance here, Sadowsky’s implication that “Principle & Heart” is like the other side of a single coin makes all the sense in the world because of how this one idea is delivered. The stiffly defined downbeats via hard guitar strum, wide toned bass plucks, and kick thumps don’t play against as much of a busy melody like the single’s predecessor. The implemented heaviness gives “Principle & Heart” a bit of a more serious or, at the very least, contemplative flow. The song echoes an air of decisiveness in the narrative and so, a corresponding increase in rhythmic or melodic deliberation this way feels entirely appropriate and gives that counterpart characterization to the song overall. Still, the choice to keep the guitars acoustic on this track helps “Principle & Heart” maintain a layer of melodic and emotional lightness in spite of all the aforementioned depth. Seeing as BOXER hover around an orbit of alternative pop-rock, it’s easy to embrace thoughts bring forth recollections of early John Mayer songwriting, perhaps circa “Heavier Things” and “Room for Squares,” when Mayer’s song forms played with catchy hooks, strong downbeats, relatable everyday themes, and more acoustic guitars in much the same fashion. Meanwhile, Sadowsky’s impassioned vocal performance bursts through without impedance, suggesting that BOXER achieved its desire for emotional conveyance (I’m so sorry I’m stuck in my head / I’ve got to get out of this house / and track down my love). However, it’s one thing to notice and acknowledge the intensity of feeling Sadowsky himself put into his delivery and it’s another, to subsequently conclude that the framing of his delivery was given the best structure possible, which doesn’t come across as what happened in the control room. While the beginning verses of the song seem built around a sonically sensible hierarchy wherein the vocal is featured at the front, there’s an uneasy degree of dynamic imbalance that seems to peer through at the start via a bit too much low-end in the bass, which only gets more precarious as the song progresses and all the band parts fill at the song’s climax. It’s at this point, the place in the song where the music should have listeners most invested – particularly on the outlined internal and external struggles of the narrator – that Sadowsky’s push for most impact goes literally unheard in a mix that drowns out his voice against the onslaught of far-too-prominently mixed lead guitar notes. One can appreciate and credit Sadowsky for his preference toward natural vocal presentation; going against the pressure to scrub every moment on record clean with de-essers, pitch shifters, and a waterfall of echo but, against the rest of the band, which does take on some digital shaping and moderate enhancement, the resulting sonic contrast creates an additional imbalance between an unplugged organic approach and one given the cushion of molding via production. The good news is that a result like this can easily be addressed and approached differently on the next project, as it’s not a fundamental issue with the song as much as it was a choice of direction for packaging. Once again, BOXER demonstrates it has plenty of drive and that its creative inspirations come from a place of under appreciated but no less real and crucial life concepts. That, paired with a recognizable and well enjoyed genre gives the band a contrast that is worth nurturing, as BOXER’s willingness to explore ideas and problems less treaded, makes the more common musical exterior less predictable and leaves the band with intrigue to spare, keeping people coming back to see what the group will do next. 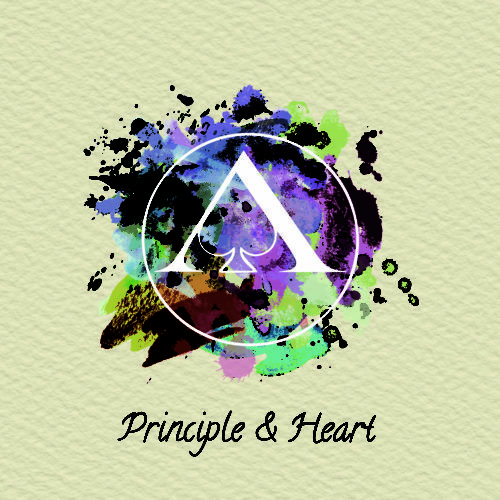 “Principle & Heart” will be available on 9 February 2019. Celebrate the release of the single with BOXER live, this Saturday, at The Velvet Lounge in Setauket, NY.